Mozambique, this wonderful and unique Country left our Guests completely stunned. 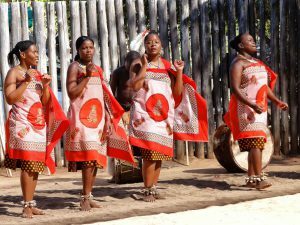 We are a Team that likes to cross borders and this time we would go and explore Swaziland. The trip took us along Lebombo Mountains, a scenic and spectacular route. The village of Namaacha is the last settlement before the border with Swaziland, and it is also quite interesting to see. Beautiful buildings (some of them in ruins and others in better shape) still makes the wonders of who passes by. The border passage was fast and effective – this border is one of the fastest ones in this part of the World. Few people and vehicles make the process easier and softer. When we entered Swaziland it started to rain: a kind of “Welcome to Swaziland” – this rain was extremely important has we mentioned in previous articles, it was year of severe drought. Sometimes the rain stopped and the sun illuminated the small water drops in the air, revealing the beautiful rainbows and showing the dry/terracotta/red/warm colors of the Swazi landscape (the Savannah Country). When we reach Ezulwini Valley, the area where we would overnight, the first think that made impact on us was the Execution Rock, a tall Mountain that reaps the green valley. We reached the Cultural village and our local Guide, Trevor, tough us all about the Swazi people and their homesteads. 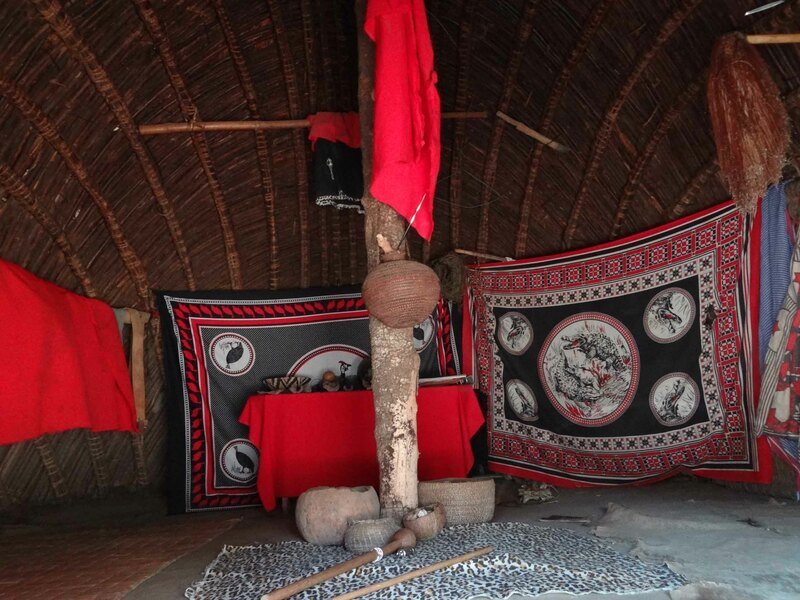 The way each house was built and the purpose of it, the beliefs, the traditional medicine, the battles, the survival and the way the rules are made were some of the topics that were covered by Trevor. In the end of this tour we watched a traditional local dance of the Swazi people, where woman and men shared the stage with some incredible energy. These dances overwhelms us with the power of the voices and the elasticity of the movements. We still had time to visit a nearby waterfall and also one of the most unique things about Swaziland: a traditional candle factory. We lunched in House on Fire, a quite and tranquil place. The food was great and so was the area: we did a small walk along the gardens to observe some of the many bird species that lives there. We couldn’t hide the exhaustion of the whole expedition. We had to rest for a bit, because all of those weeks of traveling were started to being felt by all of us. Despite the group being reduced to half, we continued to have fun and to have an environment of adventure and discovery. On the following day we would go back to Maputo – the journey was ending and because we were so used to each other, no one wanted for it to end. However, after we all said goodbye to each other, we all realized that this was not the end of the expedition: we will maybe continue the expedition next year and who knows what new Country we will discover together. It is a magnificent Continent after all. The goal was achieved: Mozambique will travel with our Guests to another part of the World (in their hearts). Thank you to these beautiful Human beings. Mabeco Tours Team will never forget you.